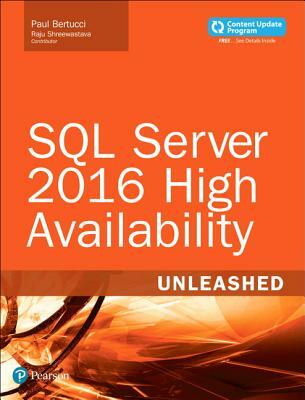 SQL Server 2016 High Availability Unleashed provides start-to-finish coverage of SQL Server's powerful high availability (HA) solutions for your traditional on-premise databases, cloud-based databases (Azure or AWS), hybrid databases (on-premise coupled with the cloud), and your emerging Big Data solutions. In addition, this book is part of InformIT's exciting Content Update Program, which provides content updates for major technology improvements As significant updates are made to SQL Server, sections of this book will be updated or new sections will be added to match the updates to the technologies. As updates become available, they will be delivered to you via a free Web Edition of this book, which can be accessed with any Internet connection. To learn more, visit informit.com/cup.